High school for many tends to conjure up images of a carefree time: football games, cruising in a car, meeting up with friends after school. For Tristan, his high school years were demanding. He was captain of the Bridger Scouts football team, President of Bridger Business Professionals of America, President of Bridger Student Council, Vice-President of Bridger Future Farmers of America, and senior member of Bridger reACT (Teens Reacting Against Corporate Tobacco). While he sounded like a busy teen with a bright future, school and activities weren’t the most challenging thing in Tristan’s life. His family was grappling with the consequences of his parents’ poor decisions. His father had passed away due to alcohol abuse and his mother was using drugs to cope. He and his brother were often left to find their own food and to worry about where they would live after a string of evictions. These circumstances left Tristan no choice but to find a job on top of his already demanding school schedule in order to help his family out. Since he had no work experience, he knew it might be hard to get a job on his own. His girlfriend was a participant in HRDC’s Youth Employment program and brought it up to him. Fortunately, the program was tailored to people like him. He enrolled in the program in 2012 and was matched up with a job with the maintenance staff of Bridger High School. Last summer, Tristan and another worker did most of the labor installing a new playground for Bridger Elementary School. “The program made me more respectful. I had to be at work at a certain time and had to learn what happens at a real job,’ he said about the program, ‘It made me more mature.” According to Eric Wendt, HRDC’s Youth Program Coordinator, “Tristan is one of the kids that makes this job worth doing. He is a great example of what hard work and a positive attitude combined with the desire to change can accomplish.” Since he started working, Tristan was able to open his first savings account and start saving for his goal of attending college. 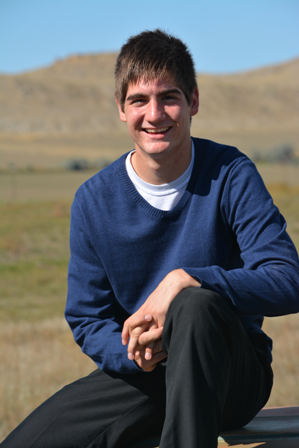 Youth Program staff helped him find and apply for scholarships, and in 2014, Tristan found out he had been accepted to Rocky Mountain College for the 2015 Fall Semester. “I am planning to go to school and get my Bachelor’s in Business Administration, and my Master’s in accounting, and then go for my CPA. Rocky has a 3-2 program (3 years for a bachelor’s degree, 2 years for a master’s degree) so I should be done in 5 years,” said Tristan. Youth Employment Work Experience Sites provide participants with work opportunities to develop skills, knowledge, and work behaviors to increase their employability. Youth can work for a government, nonprofit, or for-profit employer. © 2019 District 7 Human Resources Development Council (HRDC). All Rights Reserved.